Home > Featured Articles > Stress Relief Summit Coming Soon! Stress has been called the “health epidemic of the 21st century” by the World Health Organization. It is an epidemic that effects our health, our home, our workplace and our ability to work at all. Stress related diseases and disorders are on the rise. Doctors are now prescribing yoga and meditation for pain, anxiety, depression, and more, because they recognize the root cause is often found in unmanaged stress. So how do we manage our stress? If you are living with a chronic illness, it seems managing your symptoms is a full-time job. And it is! But in managing symptoms, we often miss or are not addressing a possible root cause – stress. FibroHaven is proud to be hosting a free summit beginning April 11th, featuring experts who will share proven, simple, and effective ways to reduce stress. Opt in now by clicking here. Join the summit to hear from leading thought leaders like: Dr. Peter Levine, Rick Hanson, Richard Miller, Katie Hendricks – and MORE! 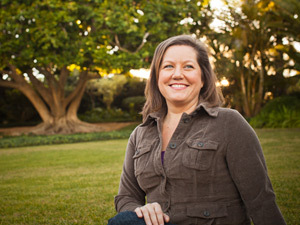 Dannette Mason is the Founder of FibroHaven and the School of Gentle Yoga. Dannette has spent the last 20+ years learning natural ways to heal from the many complicated symptoms related to a traumatic brain injury suffered in 1996. Her passion and persistence led to her life’s purpose as a Yoga Therapist and Life Coach, specializing in helping students and clients heal with the ancient wisdom of Yoga Philosophy. In her years of study to become a Yoga Therapist, she came to understand how detrimental unmanaged stress can be on the mind, body, and spirit. It is her dharma to teach simple, practical ways to reduce stress and increase quality of life. Michael Linden is a healer and health advocate with many skills. An Army Veteran of the first Persian Gulf War, Michael spent years managing the debilitating effects of combat – PTSD, concussion blast TBI, chronic pain, and more. A father of four and successful business man, for many years he managed his symptoms through sheer will and tenacity. Until he couldn’t. When his symptoms became bigger than his resources, he turned to Yoga and Mountain Biking as practices to reduce his stress, which naturally reduced his symptoms and increased his quality of life. Committed to helping Veterans like himself learn to heal from the effects of war, Michael is now a certified instructor through the International Mountain Bike Association, the School of Gentle Yoga, Connected Warriors, and SYF Trauma Sensitive Yoga, as well as a sustainable organic farmer.